Studies show that employees who work from home can be even more productive than in-office peers. They’re typically happier since they have more control over their lives and schedules. Business owners with a telecommuting staff don’t have to maintain expensive office space or deal with as many facilities management and technology support hassles. But ask anyone who’s ever worked from home for an extended time, and they’ll tell you it can be isolating. You might find yourself talking to your pet — which is fine, as long as your pet doesn’t start talking back! Some home-based workers report an erosion of their social skills. Others note that they miss the office chit-chat. And some symptoms of cabin fever can affect performance. Home-based employees typically live and work in the same space, and that can blur the lines between work life and home life, making them feel like they’re always on the job. If it’s feasible, it may be healthier for employees to designate a room as their home office. That way, they can spend their working time there and shut the door on that space when the day is done, marking a clear separation. As an employer, you’re in a great position to encourage employees to set up separate spaces. In the absence of clear expectations from their employer on working hours, some employees will feel like they’re on duty 24/7, which can lead to burnout and cabin fever. That’s why it’s a good idea to set regular work hours and let your staff know you don’t expect them to be available nights and weekends unless there’s a specific project that requires extra hours. Encourage employees to take breaks, including for lunch. That will give them a chance to take a walk, grab a bite to eat or speak to a friend or neighbor. Getting outside during the workday can help keep cabin fever at bay. When workers are under the same roof, they interact and develop relationships, creating a workplace community. Remote workers can develop that sense of community too, but it takes more effort on the part of the employer. Technology can help replicate the in-person experience for your remote team. It’s a good idea to foster team building since isolated employees can feel pressure to compete with unknown colleagues and may not know where to turn for advice on handling workplace challenges. Setting up a private Facebook page or a dedicated Slack channel is an inexpensive and effective way to provide a platform for employees to communicate. It can serve as a virtual watercooler, allowing employees to chat about sports, favorite TV shows, their families and current events. That builds a sense of camaraderie that can solidify teams and foster trust, leading to greater cooperation. It’s also a cure for cabin fever. Even if they’re diligent workers, it’s easy for remote employees to feel out of touch with the company and in the dark about what’s happening at the home office. As a manager, you can counter that isolation by building strong personal ties with your employees. Instant messaging, video chats, and web-based meetings are great ways to interact with remote employees. Use those channels to hold regular touchpoint meetings to ensure that employees have the support they need to succeed. It’s also important to be open and honest with employees. Transparency may not seem like a value that keeps isolation at bay, but employees who feel connected to the company perceive that they are part of something larger than themselves. Employees who adopt company values and trust their managers to keep them informed feel less alone, even if they’re thousands of miles away. While a remote team can be every bit as effective as an on-site workforce, it’s important for employers to keep in mind that working from home can be isolating and to take measures to counteract that. 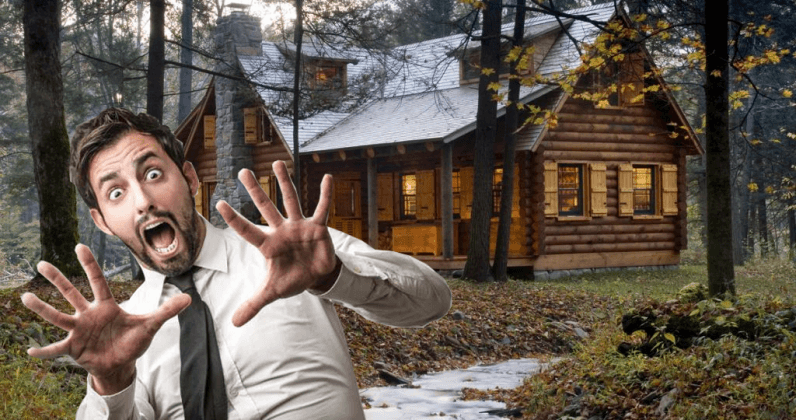 If your off-site employees are showing any of these three signs of cabin fever, make sure you’re using all the tools and techniques at your disposal to help them overcome it. It all starts with connections. Help employees set boundaries and make sure they understand your expectations. Build a community that they can be a part of, a team they can turn to so they don’t feel alone. Create a solid employer-employee relationship based on trust and transparency. With planning and intent, you can combat cabin fever with connections — and help your remote team succeed.